The application of Internet technologies towards distance education is widely discussed in the literature. 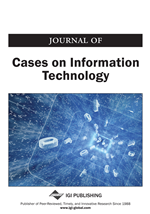 This case applies Porters added value theory relating to the use of IT to the application of Internet technologies used as a supplement to traditional classroom subject delivery. Most of the reported advantages of this type from online course and subject delivery relate to cost savings in terms of efficiency, flexibility and/or convenience for the students. The case study examines a range of subjects taught in the School of Information Systems at Victoria University, Australia. Each subject uses Internet technologies for different added value benefits. Subject coordinators comment upon the use of the Internet technologies for both academic and administrative aspects. Students are surveyed to determine the value of Internet technologies from their perspective. Student responses indicated the applications were perceived to be at least useful, and findings supported Porters theory. The challenge for the faculty is to demonstrate the business benefits to faculty staff of adopting Internet technology for teaching. The case studies have shown that the use of Internet technologies by students seems to be higher where the coordinator actively encourages it.